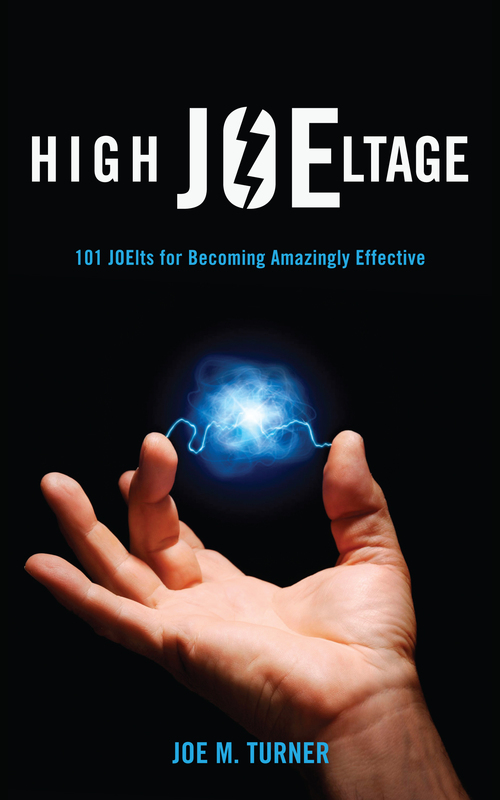 High JOEltage is now available! This book wasn’t part of my original plan for 2012, but a few factors came into play that led to this point. In 2012 I set a goal for myself to complete a book. My original book project, 5 Kinds of Amazing, expanded in scope and by the end of the summer, I knew I wouldn’t finish it during 2012. My friend and fellow speaker, Melissa Galt, had suggested to me earlier in the year that I capture some of my ideas in the format of a “tips” book. Within the context of those circumstances, I put 5 Kinds of Amazing on pause long enough to do a tips book which has just been published. The purpose of High JOEltage! is to encourage, motivate, and provoke you to think about ways you can have an amazing impact on your audience and improve your personal effectiveness. These ideas helped me keep going during times of challenge and strain. There are some common-sense ideas which always bear repeating, as well as some analogies and ideas drawn from the worlds of magic, music, and theater. There is also a chapter of tips for effective business networking.